In New Jersey, drug paraphernalia is defined broadly to encompass a vast array of items that may be involved in drug-related activities. As such, a seemingly everyday item such as a spoon may constitute drug paraphernalia, if discovered in the context of converting cocaine to crack, or heroin to its injectable form. 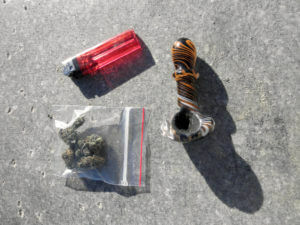 In other cases, individuals are arrested for possession of drug paraphernalia if police discover a pipe, bong, rolling papers, or another type of drug paraphernalia in their vehicle during a motor vehicle stop. It is important to note that if an item considered drug paraphernalia contains any residue of a drug, you may also be charged with possession of cocaine, heroin, marijuana, or whatever substance residue is left in the item. If police discover an item considered drug paraphernalia that contains residue in your vehicle, what begins as a traffic stop may result in three separate charges for possession of drug paraphernalia, possession of CDS, and possession of CDS in a motor vehicle. Regardless of the circumstances of your case, if you have been charged with drug paraphernalia in Camden County, it is essential to protect your rights and your innocence. Criminal defense attorney William Fay has dedicated his career to the New Jersey criminal justice system. After years as an Deputy Attorney General for the New Jersey Attorney General’s Office, he turned this knowledge and unique insight into extremely successful defense for clients charged with drug crimes and other criminal offenses in South Jersey. With centrally-located offices in Evesham Township, Mr. Fay regularly represents clients in throughout Southern New Jersey. To discuss your case with Mr. Fay today, contact his offices at 609-832-3202 for a cost-free consultation. What is Considered Drug Paraphernalia in New Jersey? According to N.J.S.A.2C:36-1, “drug paraphernalia” means all equipment, products and materials of any kind which are used or intended for use in planting, propagating, cultivating, growing, harvesting, manufacturing, compounding, converting, producing, processing, preparing, testing, analyzing, packaging, repackaging, storing, containing, concealing, ingesting, inhaling, or otherwise introducing into the human body a controlled dangerous substance or controlled substance analog. As stated above, possession of drug paraphernalia is classified as a disorderly persons offense, which means that your case will be adjudicated in the Municipal Court in the municipality in which the alleged offense occurred. These offenses are punishable by a sentence to serve up to 6 months in the county jail, a fine of up to $1,000, and loss of your driving privileges for up to 2 years. There are a variety of options when dealing with a drug paraphernalia possession charge. First and foremost, your attorney can pursue a dismissal by challenging some component of the case, such as probable cause for the search. If you are a first-time drug offender, you may also be eligible for New Jersey’s Conditional Discharge Program, which allows eligible defendants to achieve the dismissal of the charges by completing a probationary period. If you successfully complete Conditional Discharge, the charges are dismissed and you are eligible for an expungement in 6 months. By expunging your criminal record, you can erase any trace of the arrest or the charges, which can be profoundly beneficial as you pursue employment, education, and other opportunities in the future. If you or someone you love has been charged with possession of drug paraphernalia or another drug crime in Camden County or elsewhere in South Jersey, it is critical to begin building your defense strategy as soon as possible. Contact our firm at 609-832-3202 for additional information and a cost-free consultation.